Tineke Rensen is a business owner for 28 years. She is a former sports athlete. This resulted in achieving the title of the national champion in whitewater kayaking. She has a lot of international experience in business. She used to have an international outdoor and survival travel agency where she operated in various countries in Europe. Nowadays she works with female entrepreneurs to grow their business and she has international clients and speaks internationally. It has always been her passion to help and grow people in any kind or form and help them to go beyond their next level. She is a firm believer of the fact that; when women integrate feminine and masculine skills in business they will be unstoppable and will do a lot of good in the world. Why she founded the Powerful Business Women’s Network? Many years Tineke has sought like-minded businesswomen in other female business groups. She never found the network that matched her criteria for business women she wanted to network with. That is why she decided to start a completely new network. Powerful Business Women’s Network. 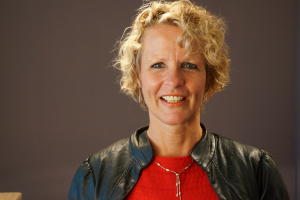 Doing business internationally is not natural for many businesswomen and with creating, this international network for business women Tineke hopes to achieve 3 things.